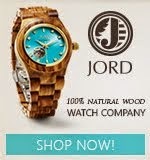 It makes me feel good that at 47, my only concerns are my graying hair, sun spots and crow's feet. I used to hate my oily skin, but I guess I should be thankful because it's probably one of the reasons why fine lines and wrinkles are still not visible. 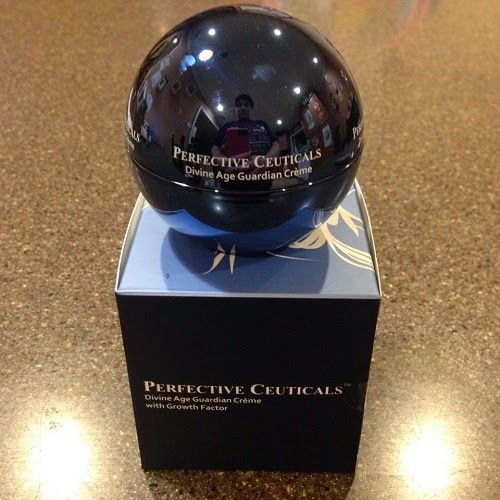 Today's discussion is about the Divine Age Guardian Cream with Growth Factor by Perfective Ceuticals. I am not new to this brand and I am currently using their eye serum. 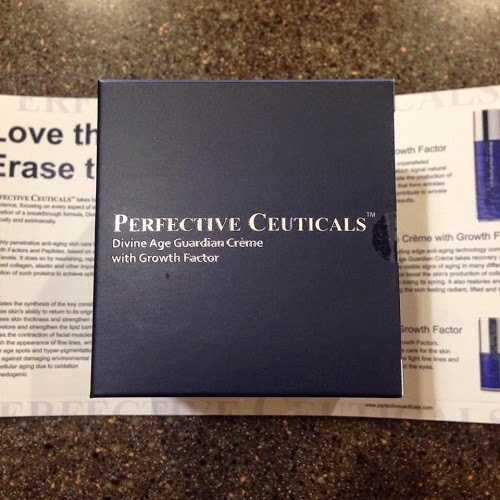 Like all other Perfective Ceuticals products, this one is packaged really nicely. The box is simple, but elegant and so is the round jar. The mere package tells you that this is an expensive product, but it's actually not that pricey. The cream has a nice consistency and it has a very mild scent. It's easy to apply and it dries up pretty quickly, too. What I like about this cream is that it is very light and it does not leave a greasy look. I don't wear makeup, but it's a great advantage for those who do because the cream is not heavy and you won't feel that you are putting on a lot on your face. It's only been a week and people around me are noticing that my skin is supple. The sun spots slightly brightened and my pores look a bit smaller, too. As for my crow's feet, it's too early to say. I will continue to use this because I'm sure this product will not fail to amaze me. Overall, I had a great experience with the cream. If you are looking for a product to hydrate skin and correct skin imperfections, this is a good one to try. 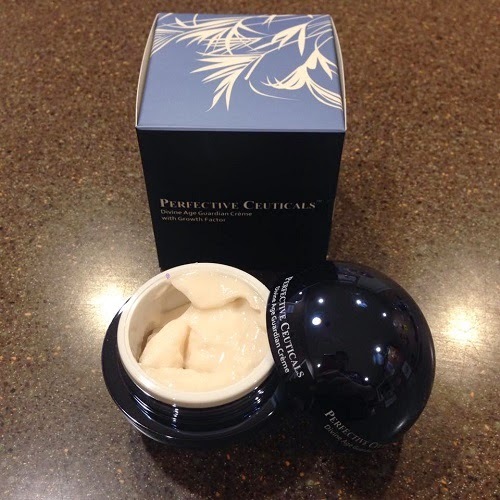 You can purchase the Divine Age Guardian Cream with Growth Factor through the Perfective Ceuticals website.